It is a small deciduous tree or shrub reaching a height of 5–12 metres (16–39 ft), usually with thorny branches. The leaves are shiny-green, ovate-acute, 2–7 centimetres (0.79–2.76 in) wide and 1–3 centimetres (0.39–1.18 in) broad, with three conspicuous veins at the base, and a finely toothed margin. The flowers are small, 5 millimetres (0.20 in) wide, with five inconspicuous yellowish-green petals. The fruit is an edible ovaldrupe 1.5–3 centimetres (0.59–1.18 in) deep; when immature it is smooth-green, with the consistency and taste of an apple, maturing brown to purplish-black and eventually wrinkled, looking like a small date. There is a single hard stone similar to an olive stone. In traditional Chinese medicine (TCM), suan zao ren (Ziziphus spinosa) is considered to be sweet and sour in taste, and neutral in action. It is believed to nourish the heart yin, augment the liver blood, and calm the spirit (TCM medical terms). 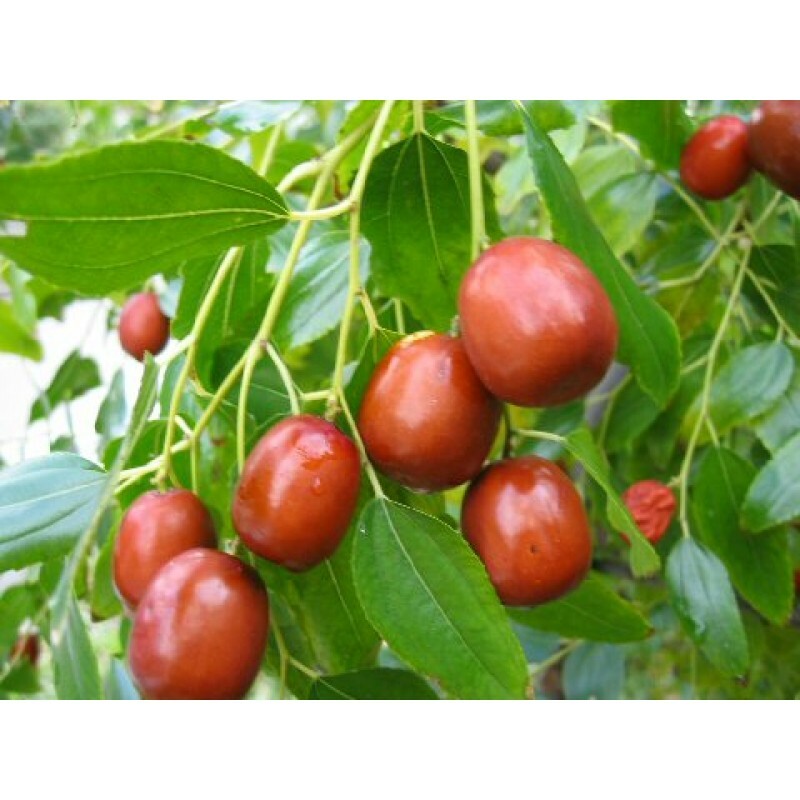 It is used to treat irritability, insomnia and heart palpitations.